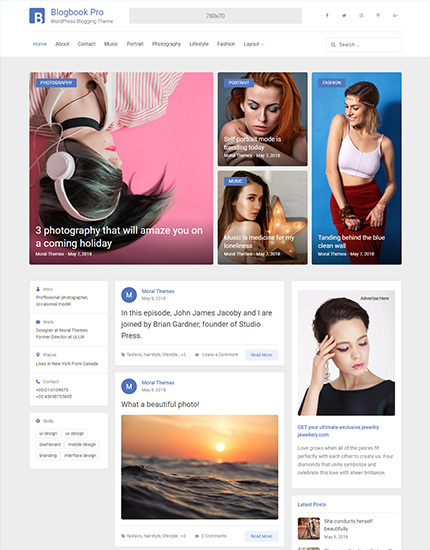 Blogbook Pro is a beautiful WordPress blog theme designed specifically to showcase long form writing, stories, poetry, etc. It is a powerful WordPress blog theme with tons of features. Mainly focused for blogging, it’s sole purpose if for bloggers. Blogbook Pro comes packed with great customization options. All of them can be accessed using theme customizer. This theme comes in one, two and three column layouts. Designed to improve readability it uses clean typography and elegantly handles featured images. It also comes with multiple post formats for videos, gallery and image. It is quick and easy to setup and looks great on all devices and screen sizes. As a niche blog theme, Blogbook Pro ships with features that are useful mostly for blog project as this is where real traction and traffic happen for a blog. 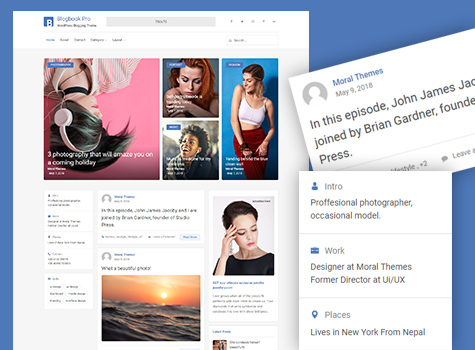 Blogbook Pro with its simple/clean look, gorgeous typography and great layout design gives you the creative freedom and flexibility you need to get your blog up and running. Typography's main function is to make the content easy to read so your blog need clean typography and simple design to improve readability. 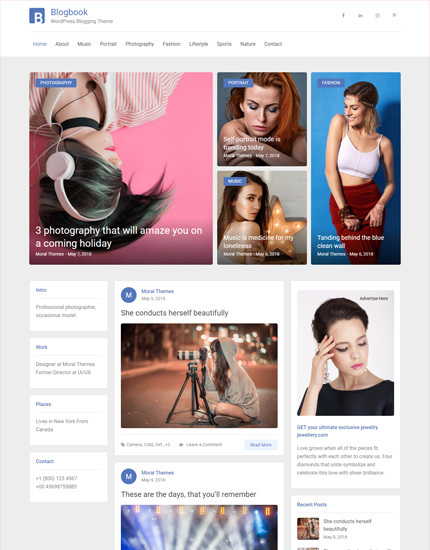 With it’s clean typography and simple design, Blogbook Pro is perfect for writers who need to create blogs with simple creative features and effects to make readers feel the pleasure of reading. You have to focus only on writing your content and this theme will give the great reading experience for your blog followers. With unlimited customizer options, you don't really need to mess with code in Blogbook Pro. From layout to color options, there’s ample choices so you can create your own personalized WordPress blog in minutes. 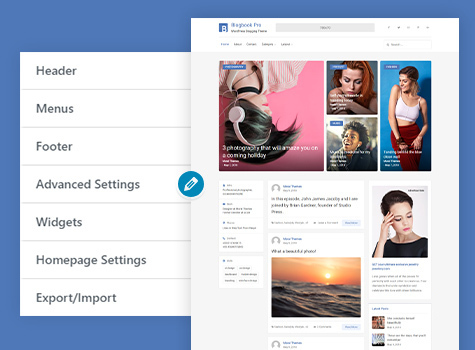 Blogbook Pro comes packed with great customization options, all of which can be accessed using theme customizer. Post Formats help organize a blog and allow readers to filter through the types of content they want to find. 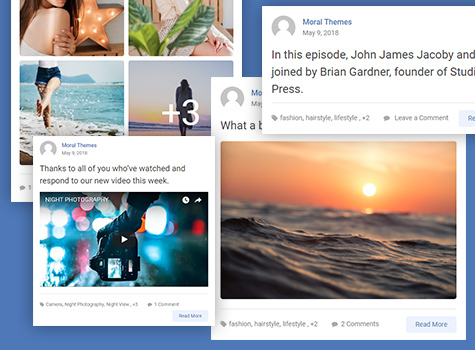 As a theme that supports Post Formats, Blogbook Pro also provides bloggers with the privilege to easily change how each post looks by choosing a Post Format. 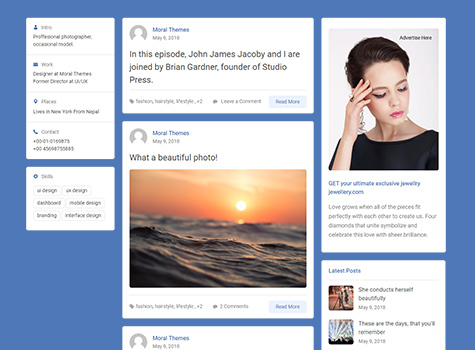 You can easily create your post as a gallery, a video, a link or an image, and style each to your heart’s content. 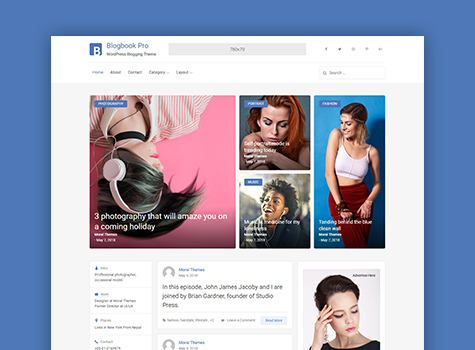 With Bogbook Pro, you can select from three carefully designed layouts as this theme comes in one, two and three column layouts you can choose from you so can rest assured that you will never get bored of your website. Blogbook Pro makes all of your design work a breeze, without you having to modify the product’s code.